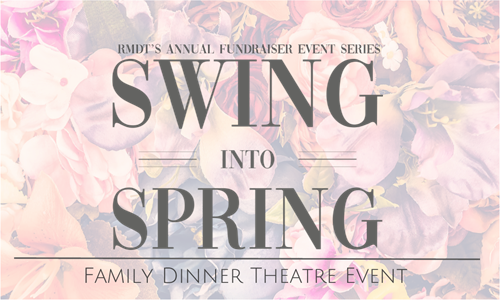 Swing Into Spring is Cody, Wyoming's, non-profit Rocky Mountain Dance Theatre's biggest fundraiser that helps fund RMDT's yearly programs and productions. Come support the arts while enjoying one of TWO unique nights of great food and entertainment. NEW this year for Friday night; Family Dinner Theatre Event! 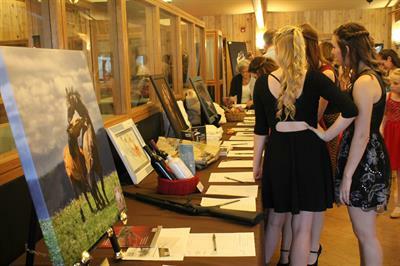 Enjoy live music, dance entertainment by RMDT Spring Company, special opportunity for kids in the audience to join the fun and dance with the Spring Company members (no dance experience needed), wine pull, silent auction, and a catered meal by The Laughing Pig with a child option. **For the safety and enjoyment of all, children attending must be able to remain seated during the night.